With a lot of restaurant experiences being similar, due to the service, the generic setting or similar menus, you may fancy an out-of-the-ordinary dining experience. From underwater restaurants to the ultimate cat-lover’s café, here’s five unusual places in dine in the UK. 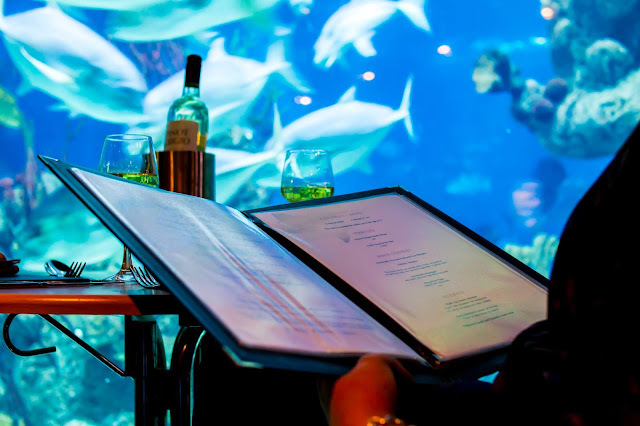 Within award-winning aquarium ‘The Deep’ in Hull, Two Rivers Restaurant is a dining experience with an underwater setting. Open on Thursday, Friday and Saturday evenings, visitors can enjoy Mediterranean cuisine ‘surrounded by some of Europe’s best aquatic displays’. Depending on how many courses you fancy, prices range from £21.95 - £29.95 which, for delicious food and the opportunity to view spectacular aquatic galleries throughout the night, is great value. There are vegetarian, dairy-free and gluten-free options available on the menu so it caters for all which is another plus. Reservations are required via their website for dining in, plus the website offers information about event-hiring, and an ‘Exclusive Dining’ experience for an after-hours unique experience. If you fancy trying some exotic colourful cereal from another country, chances are, it’ll be on Cereal Killer Café’s menu. The first international cereal café was opened by brothers and best friends Gary and Alan Keery, with the first of three cafes opening on Brick Lane, London in 2014. The pair have expanded the chain by two further cafes, one just a tube journey away from the first in Camden Market, and the newest open in Birmingham’s city centre. With over 120 types of cereal, 30 types of milk and 20 types of toppings available, you’ll never view your regular boring bowl of morning Weetabix the same again after visiting. There’s also ‘Cereal Cocktails’ on the menu, a range of milkshake-like concoctions with interesting pun titles; personal favourites include ‘marshmallow submarine’ and ‘orange you glad I didn’t order milk’. If you’re more of a toast-person, there’s that option too along with pop-tarts in a range of flavours. 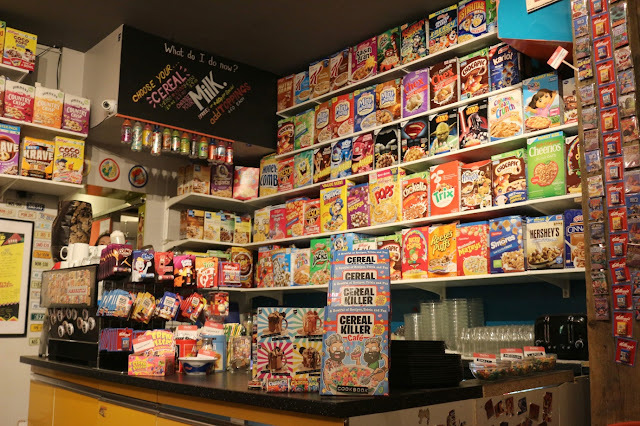 A truly fun and ‘extremely charming place; with a ‘very retro feel’ according to Trip Advisor reviews, Cereal Killer Café is ‘cereal heaven’. 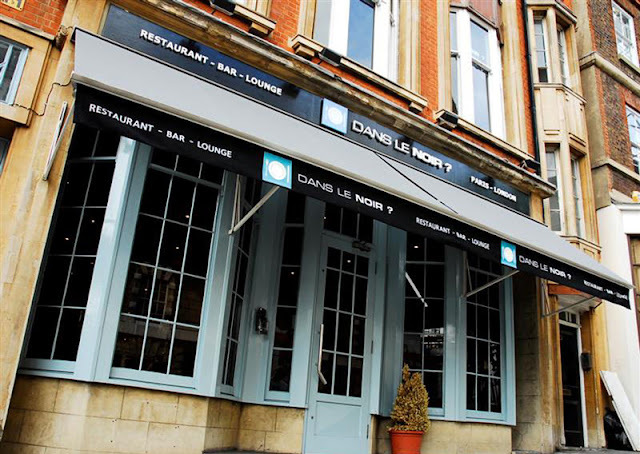 Probably the most unusual of restaurants, Dans Le Noir is a dining experience like no other. Google translate the name of this restaurant and you’ll be given ‘in the dark’, which is exactly how you dine. The restaurant is described as a ‘sensory experience’, with no preconceptions of the food and flavours by sight. Visitors are given a choice of 4 Surprise menus, White (‘exotic sunrise’), Blue (fish), Green (vegetarian) and Red (meat), the food served by visually-impaired waiters and waitresses. Dietary requirements are taken into consideration of course, but the food served within the chosen colour-coded menu is a surprise to customers until they taste it. A worldwide chain, with restaurants, shops and tasting lounges in the UK, France, Russia, Spain as well as soon-to-open restaurants in Auckland, New Zealand and Madrid, Spain. Prices range from £46 - £89 dependent on courses; bookings are taken online. Perfect for cat-lovers, the Kitty Café is home to up to 30 felines to keep you company as you enjoy your cup of coffee. ‘Designed with felines in mind’ with large open spaces, toys and comfort for the cats, the Kitty Café in the heart of Nottingham is a ‘lovely little venue’ according to Trip Advisor reviews. The café offers sandwiches and pizzas, cakes and the largest range of loose teas in the city as well as other hot and cold drinks on the menu. All prepared in a Food Standard Rating of 5, sealed kitchen, so there is no worry about any hygiene issues which may come to mind when thinking of visiting a cat café. The welfare of the cats is very important with polite ‘house rules’ cards displayed, as well as information about the re-homing and rescue programme run by the café. Small entry fees of £3-£5 also help to maintain the cat’s welfare, while food and drink reasonably priced. 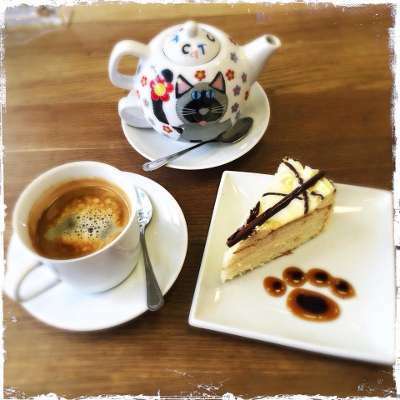 Book online for a relaxed and fun lunch-time experience at the Kitty Café. With 4 restaurants in the UK, The Clink Charity, in partnership with Her Majesty’s Prison Service, is working towards reducing reoffending, so far reducing it by 41%. 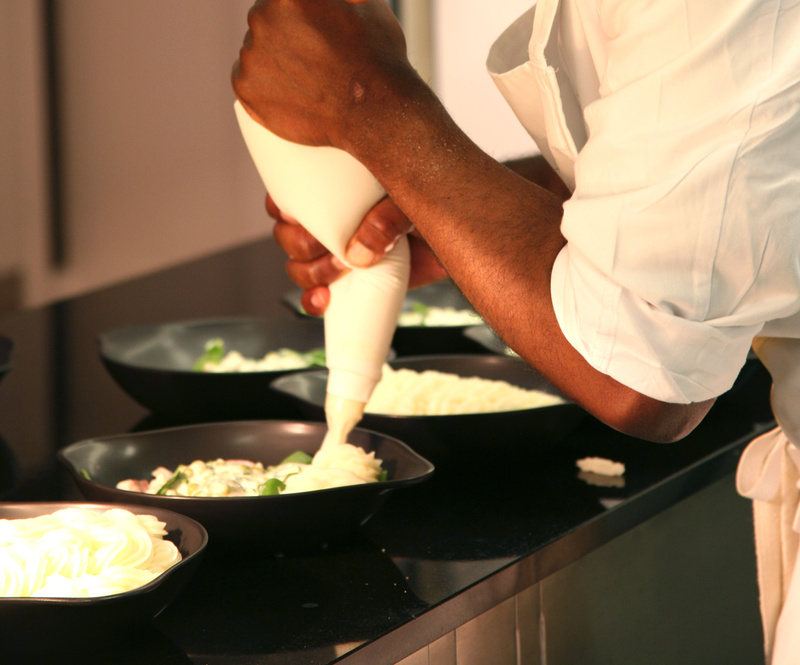 The restaurants are mostly located in-between prison walls and are staffed by prisoners working towards City & Guilds NVQs, learning skills in an ‘innovative approach to rehabilitation.” The menus are seasonal, which allows trainees the opportunity to learn a wide range of dishes and techniques to achieve the NVQs in Food Preparation, Food Service and Customer Service. Visiting the restaurants is a unique dining experience while supporting the rehabilitation of prisoners, with chic interior and a range of meat, fish and vegetarian options available through all of the seasonal menus. Bookings and donations for the charity are taken on the website. So whether you’re for eating in pitch darkness, supporting a worthy charity with great food, or enjoy the little things in life like cereal and cute cats, there are lots of unusual restaurants and cafes in the UK to visit.